Day of Caring – We need you! Calling all volunteers! Friday, October 12, 2018, is our annual Day of Caring, where thousands of caring people come together for our community. Across DeSoto, Hillsborough, Manatee, Pinellas and Sarasota counties we are seeking volunteer teams to help community agencies, schools and other organizations. Form a team of 4 or more friends, coworkers, classmates, neighbors, etc. and contact us at DayofCaring@uwsuncoast.org. We’ll send you the information on how to register your team and alert you when it’s time to choose your Day of Caring project. 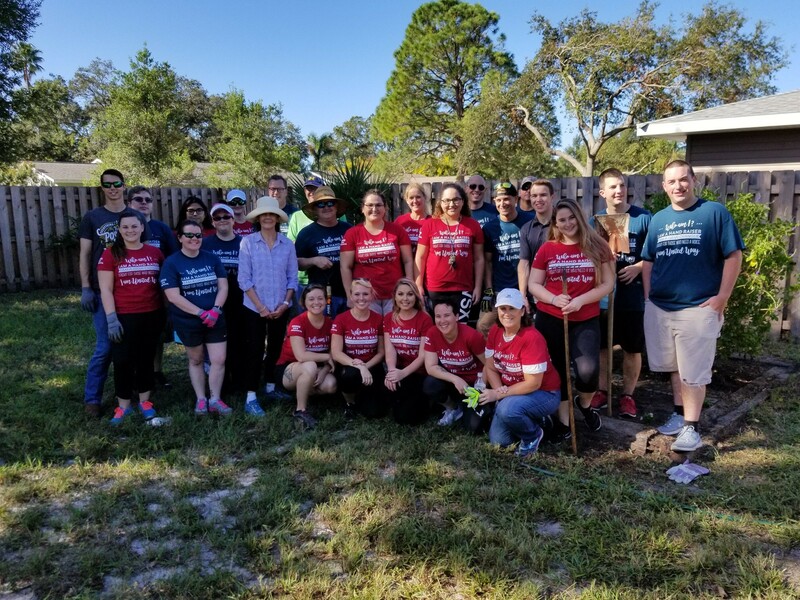 From weeding and planting at a neighborhood school, to scrubbing and painting the walls at a daycare, conducting mock interviews for low-income job seekers or helping to put together a résumé; you and your team can help us build a better Suncoast region. Last year, 42 company teams with more than 2200 volunteers completed Day of Caring projects with United Way. We hope to see many familiar faces (and some new ones) this year for Day of Caring. For information on other corporate volunteer opportunities, please contact Nicholas Castro, Director Volunteer Engagement Strategies, at ncastro@uwsuncoast.org or 813-274-0932.